Hands-on comparison among 7 major video hosting platforms. 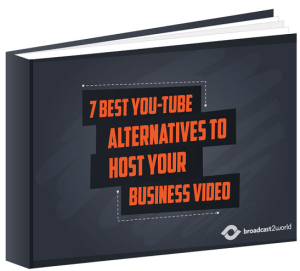 Features, Pricing, USPs, Pros & Cons of choosing each platform to host your business video. Marketing & Advertising features in each platform. Overall user rating according to industry experience. A comprehensive feature comparison table to help you select the right platform at a glance. Just fill the Form and get your eBook!